It's virtually impossible to get rid of those pesky dimples once they make their appearance. However, we have a superstar cosmetic product in our midst that has shown to be effective in the fight against cellulite: Skin689 Anti-Cellulite Cream. What sets this cream apart from all the other roaming the market? Conventional creams are designed to penetrate only the upper layer of the skin. This approach is of little help as the cause of cellulite is more deep-rooted than that. 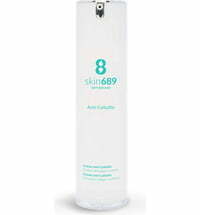 Skin689 has developed an in-house active ingredient complex called CHacoll® that promises a steep increase in collagen fibres and, at the same time, a reduction in fat cells. The Anti-Cellulite Cream should be used for a period of 6 weeks. As a result, the surface of the skin becomes smoother and skin elasticity is improved. The skin takes on a silky-soft feel after just the very first application and is covered in a pleasant scent. It goes without saying that following a balanced diet and exercising on a regular basis will support the effect of the cream. Did we spark your interest? 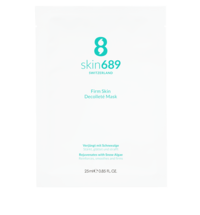 Then head on over to the Skin 689 collection where you'll find little gems designed to firm the upper arms, decollete and neck.